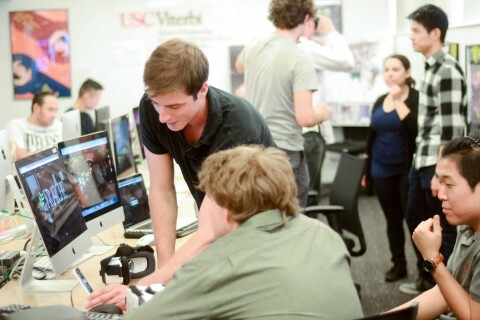 It was early on a Saturday morning when people started rolling into the USC Game Innovation Lab. In a room filled with action figures and videogame posters and model X-Wings, students were ready to embark on a spirited fantasy adventure of their own. 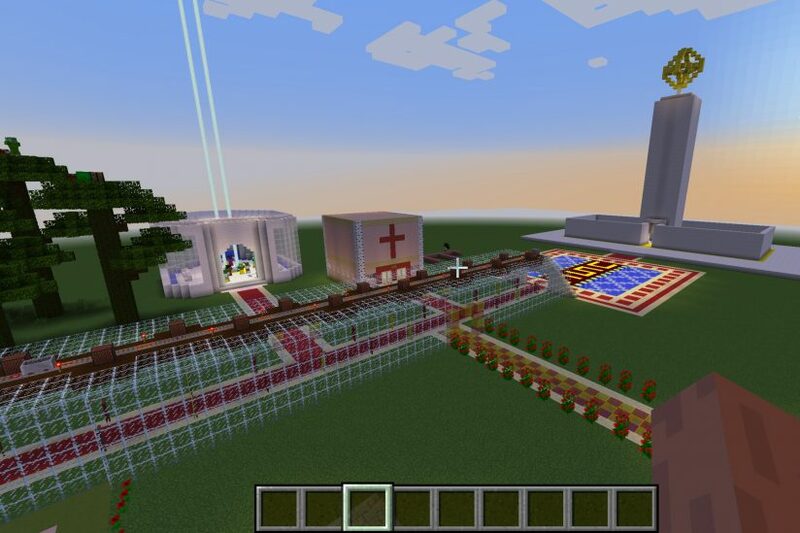 As part of a USC Visions and Voices event, students gathered over the weekend to dive into Minecraft for a 24-hour game jam with one aim: Imagine USC 100 years from now. Since its 2010 launch, Minecraft has become one of the bestselling videogames of all time, allowing users to create expansive custom worlds. And it makes possible some essential thought exercises, said Amanda Ochsner, a postdoctoral research associate at the USC Rossier School of Education and the event’s organizer. Before diving into the world-building, Ochsner and Zoë Corwin, an associate research professor at USC Rossier, asked attendees to consider what it takes to build a university and how the school’s modern-day “wicked problems” might be allayed or fester. Are there fences? Bridges? Walls? Has the atmosphere become poisonous? How well did the university’s homeless initiative work out? The questions brought students out of their comfort zones. “It’s quite easy to be a student at USC without deeply engaging with the university’s core values on a regular basis,” Corwin later said. Unsure of whether to pursue optimism or pessimism, attendees decided to split their virtual city down the middle. It might have been the University Park Campus of 2117, but it was channeling Berlin 1989.
Who gets to plan a campus? One of the benefits of the game jam, attendees said, was the ability to feel a closer bond to the campus. 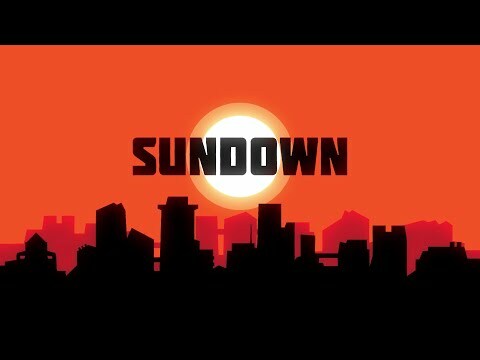 While the game jam was intended to go 24 consecutive hours, the group made enough progress to call it a night early on Saturday. They reconvened online the next morning to put some finishing touches on a world of deep divides. On one side: A clean, sunlit monument to progress, home to extensive urban farming and prizing knowledge. One of the designers, Lee Thibodeau, said he wanted to emphasize the values of efficiency and sustainability. In his plan, signs adorn an updated Von KleinSmid Center and other landmarks with testaments to optimism, like “They tried to bury us, but they forgot we are seeds,” a saying attributed to Greek poet Dinos Christianopoulos. And an eternal bonfire keeps the spirit of Conquest alive. Students were able to reflect about the priorities they hope to see the campus community embrace. On the other side: A campus where gnarled trees have overtaken the buildings. Tommy Trojan has been reduced to fragments, Traveler, a zombie and environmental disaster has led to a land with few traces of the modern university — and no Panda Express in sight. “Students were able to reflect about the priorities they hope to see the campus community embrace, as well as make a statement about those they hope to see dissipate over time,” Ochsner said. “It’s a way for people to take an active role in shaping, through their imaginations, what they see every day. 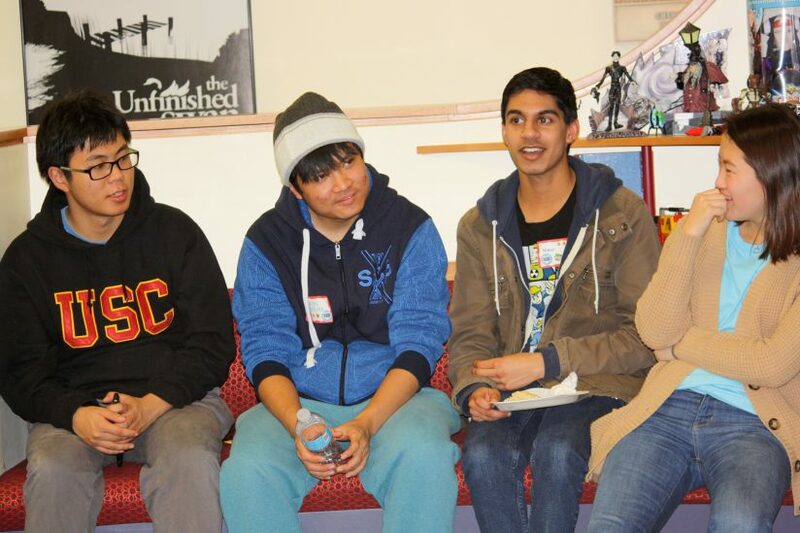 The event was a collaboration among USC Rossier’s Pullias Center for Higher Education, the Annenberg Innovation Lab, the Interactive Media & Games Division at the USC School of Cinematic Arts and the student group Makers of Entertaining Games Association. 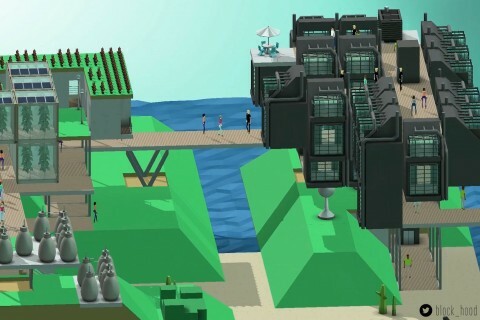 Game designers mark a decade of innovation, creativity and stellar storytelling. 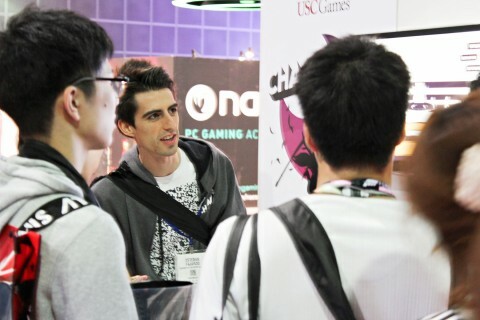 USC Games grads turn out in force for the annual entertainment expo offering talented designers a venue to get valuable feedback.